The Xinjiang Uygur Autonomous Region, also called Xin for short, is located in northwestern China. Largest in area in all the province-level administrative regions of China, the Xinjiang Uygur Autonomous Region covers an area of 1.66 million sq.km, one sixth of Chinese territory. Situated in the hinterland of Eurasian continent, Xinjiang of China borders eight countries such as Russia, Kazakhstan, Kirghiziastan, Tajikistan, Pakistan, Mongolia, India and Afghanistan. The geographic position of Xinjiang makes it very important in strategy. In history, Xinjiang served as the key controlling section of the well-known Silk Road, while now it is an unavoidable part of the railway leading to the second Eurasia Continental Bridge. Xinjiang, called Western Region in ancient times, has been an inalienable part of China from ancient times. In 60 B.C., Xinjiang officially became a part of China? ?s territory for that year central government of the Western Han Dynasty founded the West Region Frontier Command here. In 1884, the government of the Qing Dynasty established Xinjiang Province. In 1949, Xinjiang was liberated through peaceful means. October 1, 1955 saw the establishment of the Xinjiang Uygur Autonomous Region. Presently, there are 14 prefectures (including prefectures, autonomous prefectures and prefecture-level cities) and 88 counties (including cities and cities at county level) under the government of the Xinjiang Uygur Autonomous Region, including 33 counties (county-level cities) in border areas. The Xinjiang Production and Construction Corps (XPCC) is an important component part of Xinjiang and has 174 regimental agricultural and stockbreeding farms under it. By the end of 2004, the population of Xinjiang had reached 19.6311 million. Situated deep in the interior of Asia and not penetrated by the air currents from the oceans, the Xinjiang Uygur Autonomous Region has conspicuous continental climate, with highly changeable temperature, great difference in temperature between day and night, abundant sunshine, intense evaporation and little precipitation. The mean annual temperature of Xinjiang is 11.7oC -- the hottest month, July, averaging about 25oC and the coldest month, January, -20oC in the north) and -10oC in the south -- and a mean annual precipitation of 150 mm. It is divided into 2 prefecture-level cities, 5 districts, 5 autonomous prefectures, 14 county-level cities, 61 counties and 6 autonomous counties with a population of 19.25 million by 2000, of which 5 million are the Uygurs, the principal minority group there, the rest are the Hans, Kazaks, Mongolians, Huis, Xibes, Kirgizes, Ozbeks, Tajiks, Russians, Manchus, Daurs and Tatars. Baked Full Goat, Baked Baozi, Pellicle Baozi, Kebab, Braised Jemmy and Goat's Hoof, Youtazi (Oil Pagoda), etc. The Uygur dances, such as the "Bowls-on-Head Dance", "Drum Dance", "Iron Ring Dance", "Puta Dance" and "Sainaim Dance". Uygur musical instruments, such as the Dutar, strummed Rawap and Dap. 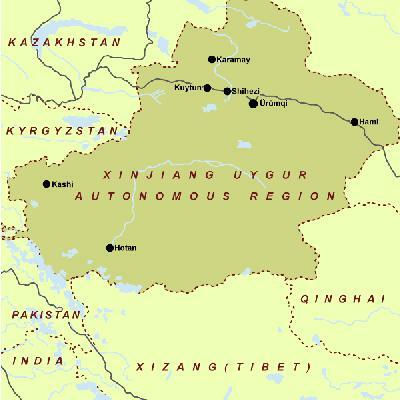 The Xinjiang Uygur Autonomous Region (Xin for short) is located in Northwest China, with its capital city in Urumqi. 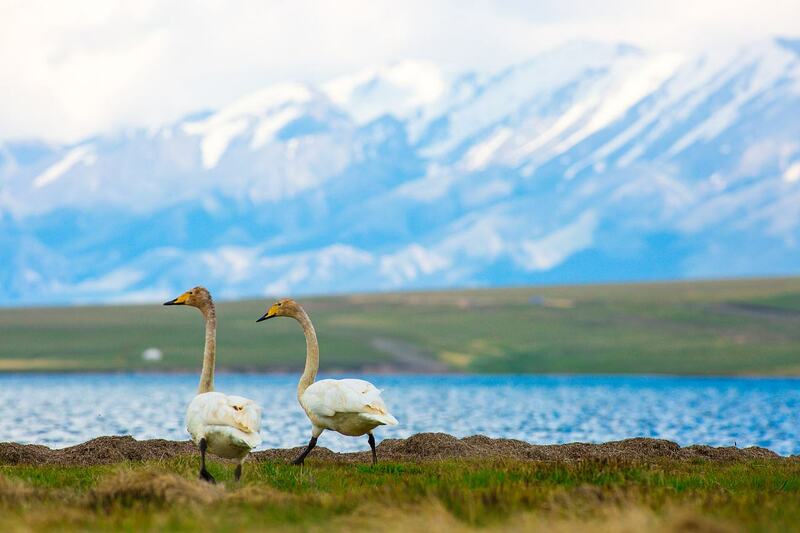 Xinjiang is well known for the expanse of its area and richness of natural resources, as well for its wonderful scenic spots and enchanting spectacles of nature. Many "mosts" of China are found in Xinjiang -- the driest, hottest, and coldest places are in Xinjiang, and China's longest inland river, lowest land and greatest desert are here as well. Here the tourist can see a most spectacular and engrossing topography of the world, locally known as "Yadan". The longest inland river, The Turpan Basin is the second lowest land on the earth next to the Dead Sea in Jordon, while the Mount Qogir, 8,611 meters above sea level, is second in height only to the Mount Everest. 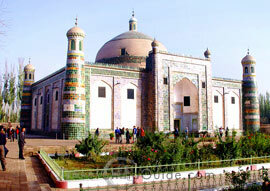 Historical and cultural tourism in Xinjiang is most attractive for its unique charm. The Silk Road, which runs across Xinjiang horizontally, is known to the whole world. Xinjiang is endowed with 236 ancient cultural sites, tombs, architectures, Buddhist caves, stone sculptures, and modern commemorative monuments of historical, artistic, and scientific value. Within the territory of Xinjiang, there are a number of ancient city ruins such as Gaochang Ancient City, City Site in State of Loulan, and the Site of Niya. The region has established 22 nature reserves. Vast in area, Xinjiang has various types of geographical conditions and multitude of regional and ethical cultures. 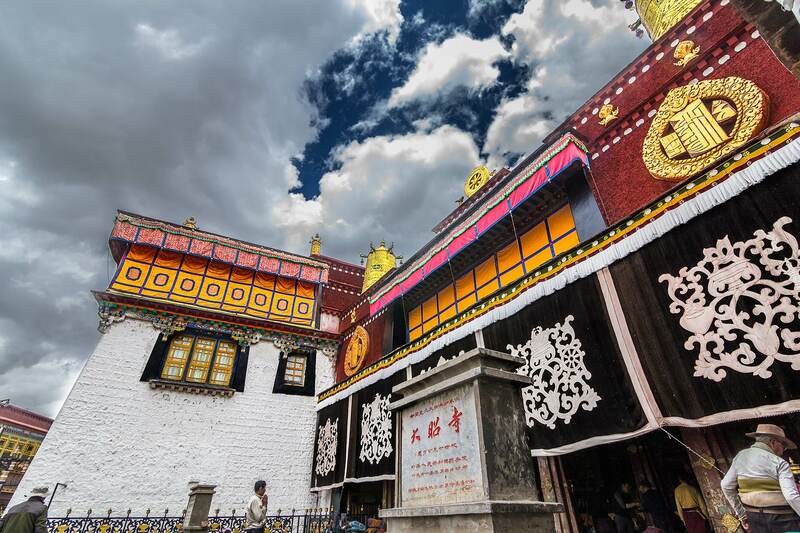 Its scenic spots and historical sites include the Heavenly Lake of Tianshan Mountain, the Flaming Mountains of Turpan, the Mosque in Kaxi, etc. Xinjiang is also a region of many minority groups in China, and its people is known far and wide for being excellent at singing and dancing.